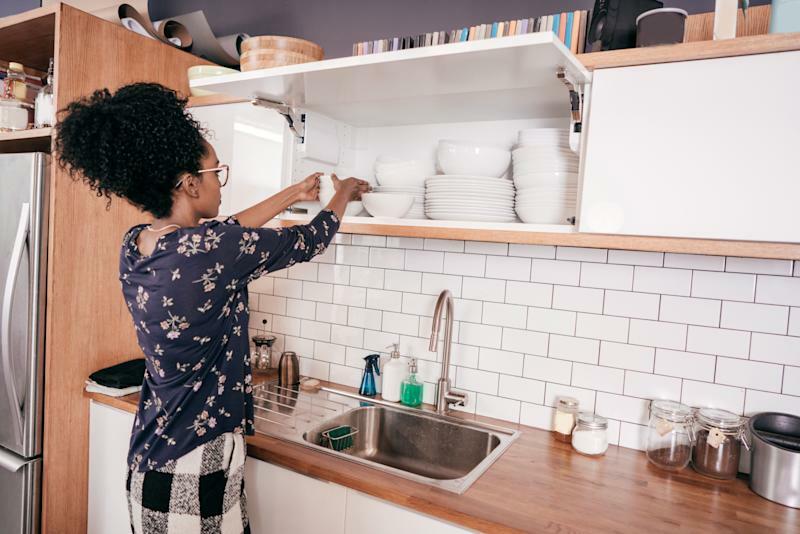 If the new year – or Marie Kondo’s Netflix show “Tidying Up” – inspired you to tackle a cleaning and organizing project in your home, the process may seem daunting, but it’s an opportunity to get your space–and your mind– under control, says Tova Weinstock, or “Tidy Tova,” a professional organizer based in New York. The key to getting organized is to rethink what you’re bringing into your life and be more mindful of your possessions and their value to you, Weinstock says. If your goal is to “get organized” it’s important to break it down into smaller goals so they’re much more attainable, Weinstock says. “Maybe that goal is just making your bed every morning and then you realize, ‘this feels kind of nice, I’ll start putting my shoes away,’” she says. Weinstock says the ease of purchasing things has taken the thoughtfulness out of our buying habits, leading us to acquire things we don’t need, which pile up and create clutter. “There’s no experience of appreciating the items we buy. You should b ea little more in touch with what you’re bringing into your life,” she says. Getting organized means being more thoughtful about your space. Weinstock says people often avoid throwing things out because they have a sentimental attachment to their items and don’t want to lose them. But appreciating the items and then moving on will help you reduce clutter and make room for different priorities, she says. When it is time to clean out your space, categorizing your objects will help you make decisions quickly, Weinstock says. “You have to think about how you use things and categorize them together based on how you use them and how often you use them,” she says. Weinstock organizes by taking everything out, and making a quick yes-no judgement for each item. Then, when you’re putting everything back, the things you use the most should be front and center, and things you use less often should go towards the back or bottom of your space. In order to stay organized beyond your initial clean, Weinstock practices a one-in, one-out rule. For example, if you buy a new item of clothing, one thing must be removed to make space. Instead, practice, and don’t expect results overnight, she says. Getting to inbox zero: is it worth it or not?